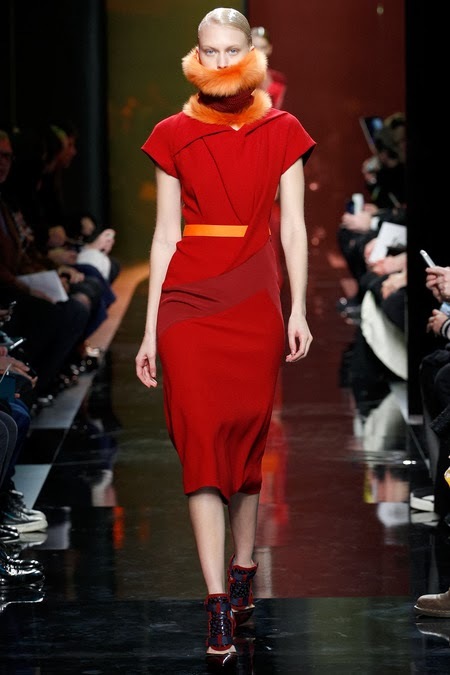 Today we finish our look back at London fashion week. 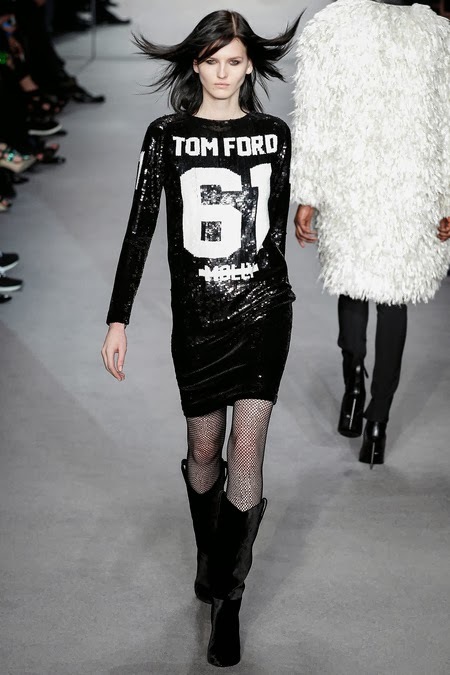 We will be looking at Burberry, Peter Pilotto, and Tom Ford. With just being promoted to CEO it seems that Chris Bailey is on his game. 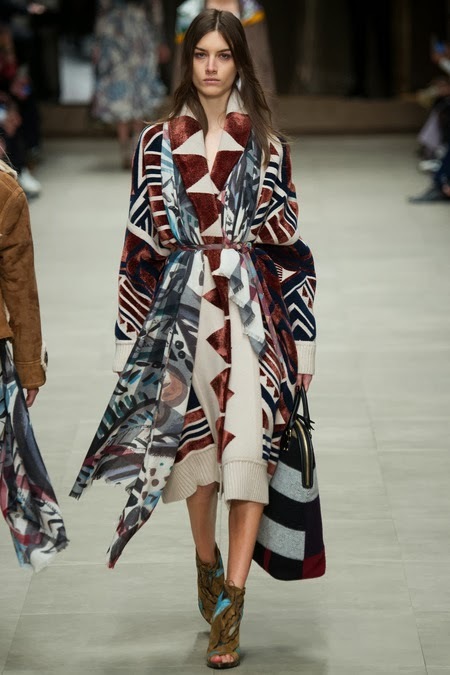 This collection was based on the girls in the Bloombury Group. 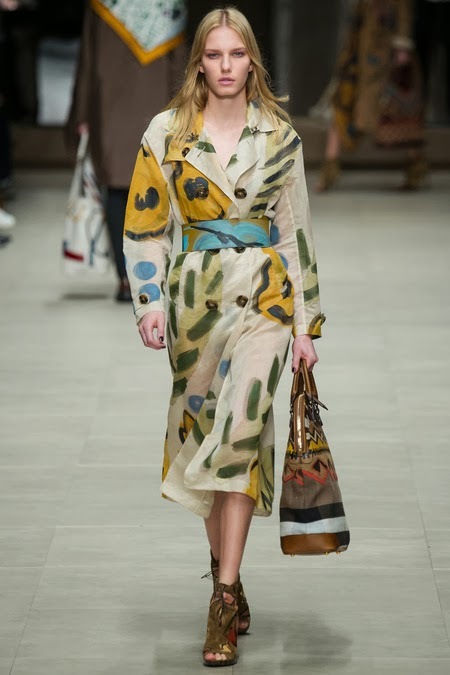 It was very boho with great airy fabrics, florals and those great hand painted trench coats. Burberry recently partnered with the trust that works to preserve the Charleston the estate that functioned as the Bloombury Groups home. It really showed through this collection that Bailey is very involved with protected this part of history. 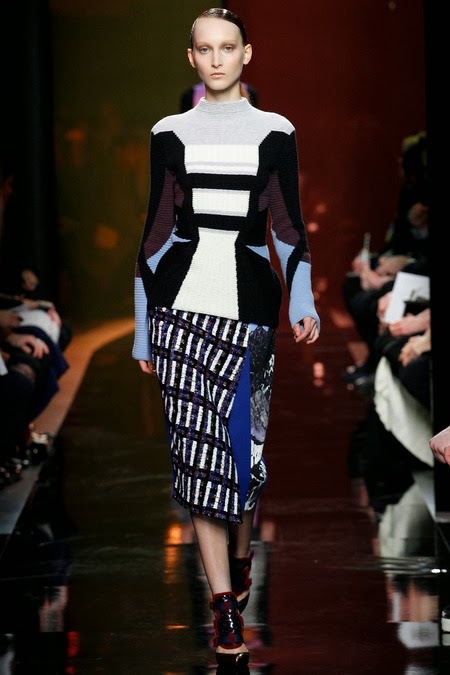 great but it wasn't bad either, it was just what it was a Pilotto show. 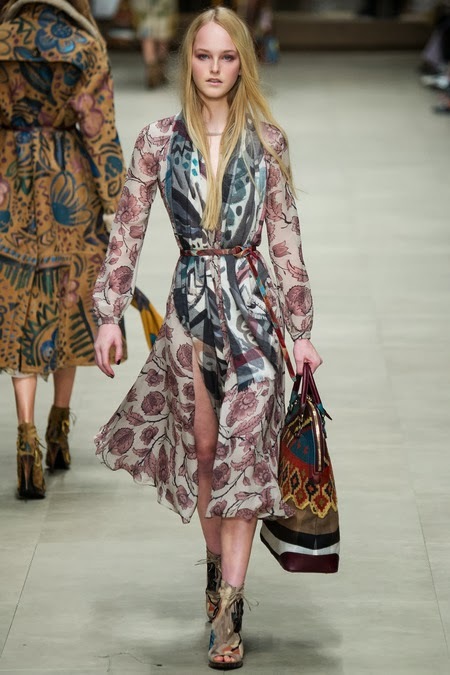 He had some great prints and nice minimal dress. I feel as if they need to step back and re look at the design and have some fun with the clothes. It felt as if they were going through the motions, almost as if it was force. With that being said the show was good with some great pieces. Fur, Velvet, Sequins, Turtle Necks, Prints, Cowboy Boots and Tom Ford. This collection was everything (literally) a girl could want with a studio 54 swing on it. Fords collection this year was very 60's inspired and with that came the fun. Lets just say I need the sequin jersey and to now listen to Jay Z.